*Both* our contestants get a failing grade this week as Bitcoin rises despite the catastrophe they each predicted. 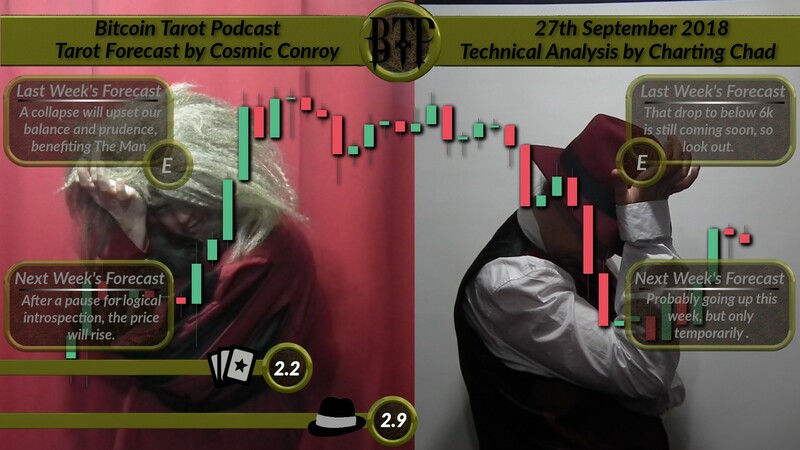 The tarot closes the gap, catching up on Technical Analysis. But what will the price do this week? Will the cards tell us? Will the charts? Will we ever actually answer the main question: Is Technical Analysis actually any better than the tarot? [Tarot-Synopsis] After a pause for logical introspection, the price will rise. [TA-Synopsis] Probably going up this week, but not for long.